When Singapore became independent in 1965, it was only a small island with limited natural resources. It was an impoverished third world country. At independence, the economy of Singapore was plagued by significant unemployment and a relatively large and unskilled population base. There were only a handful of high school graduates and skilled workers. Today, the Republic of Singapore has transformed into a first world nation. As a tribute to SG50, STJobs brings you this article which chronicles the evolution in workforce in Singapore since five decades ago, and beyond. Massive employment and labour unrest in the early 1960s became the main factor in the shift from labour-intensive to skill-intensive workforce. The government recognised the fact that Singapore could not depend on the domestic market alone and decided to create jobs by pushing for industrial development. 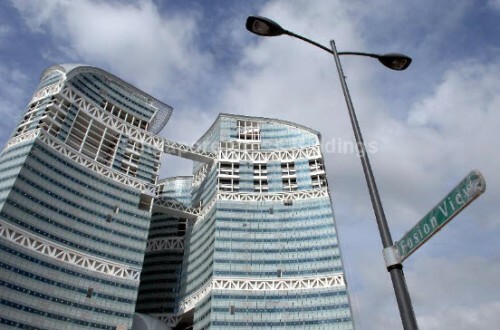 The Singapore Economic Development Board (EDB) was set up in 1961 to bring in foreign investment. By 1968, Singapore’s first industrial estate, Jurong Industrial Estate housed factories manufacturing textiles, garments, wood products and toys which were export-oriented. The manufacturing sector saw the fastest expansion in the job industry, particularly in industrial chemicals, plastics, fabricated metals and machinery. Towards the end of the 1970s, emphasis on technical fields created demands for engineering technicians and machinery operators. In the 1980s, Singapore’s industrial development was based largely on technology, moving towards R&D and computer software services. Knowledge-intensive jobs such as research assistants, design engineer and computer software engineer jobs became in demand. To drive success for a modern Singapore, The National Computer Board (NCB) was set up in 1981 to promote IT extensively. Automation of operations and manufacturing of integrated circuits, computers and electronic equipment were key. EDB was aggressive then to bring in companies into these areas. Consequently, Singapore’s first silicon wafer manufacture plant was set up in the early1980s. The semi-conductor industry was vibrant in the late 1980s. In the mid-1990s, Singapore aspired to be a global leader in both science and technology. The Agency for Science, Technology and Research (A*STAR ) was set up in the 1990s. Foreign expertise with scientific, technical or managerial skills was sought after during at time. Manufacturing remained competitive in Singapore’s economic development. The Electronics and Engineering industry still remained important. To fulfil the goal of becoming the lead in science and technology, Singapore also developed the biomedical industry. The Singapore Science Park (SSP), a research, development and technology hub was initiated to provide the infrastructure for R&D. As a result of all these effort put in by the government, a significant number of professions such as R&D manager, microbiologist, laboratory analyst, laboratory technician, biotechnologist and researchers in pharmaceutical, life science and medical technology were recruited by more than 100 MNCs and local companies. Professionals such as analyst programmer, database/network administrator, system analyst were also in demand to support IT in various industries – Finance, Health, Education, Shipping Lines and Manufacturing. In the 2000s, Singapore recognised the importance of interactive and digital media. The nation’s strategic approach to grow the media industry and creative industry was significantly intensive. The Singapore Broadcasting Authority (SBA), the Films and Publications Department (FPD) and the Singapore Film Commission (SFC) were merged to be the Media Authority of Singapore in year 2003 to drive the growth of Singapore’s creative economy, covering film, music, arts, design and media. In 2005, Lucasfilm set up animation and visual effects studios in Singapore, spearheaded by EDB in its task to attract foreign investment to develop our entertainment technology. To date, Singapore's animation and games industries have seen rapid expansion. Storytelling, visual effects and digital editing skills are in demand. The shortage of 2D and 3D Artist, Animator, Computer Graphic Artist, Character Designer, Environment Artist ,Game Designer, Storyboard Artist and Visual Effects (VFX) Artist led to the immediate need of providing Game Design and Development, Visual Arts, Animation courses at tertiary institutions to meet the needs of this industry. DigiPen Institute of Technology, an interactive media technology university, ventured into Singapore in year 2011 to offer degree courses in computer interactive technologies which was in line with our goal to inspire creativity. To advance further in innovation, EDB also pitched to MNCs such as Hewlett-Packard (HP), Procter & Gamble and Hyflux to set up innovation centres in Singapore. What’s next after 2015? What will be the labour market trends? Despite the fact that Singapore has been focusing on innovation, knowledge and R&D in the recent years, the government has not neglected the well-being and education of the future Singaporeans. The demand for dieticians, occupational therapists, physiotherapists and pharmacists is deemed to rise. With the immense pressure faced by younger generation, the need for full time school counsellors (FTSCs), a new role created in 2005, also becomes as essential as having a discipline master in the good old days. Technological innovations in the financial sector such as digital and mobile payments benefit business extensively but also heightened the risk of cyber-attacks in the financial sector. Financial institutions are expected to hire more risk management managers. To upkeep Singapore’s image as a smart and also safe financial hub, the Monetary Authority of Singapore (MAS) implemented a regulatory and supervisory framework to sustain a sound financial centre and drives a high demand for regulatory compliance and risk assessment managers. The Manufacture sector will continue to expand in its R&D activities, seeking more R&D engineers. To leverage on the gains from growth in the Tourism industry which helps to boost the economy, we are expecting an increase in job openings for museum/art curators, art fair organisers and casino surveillance managers.